As Fantastic Four #3 Slips a Month from October to November - What of the Christmas Wedding? Home » Comics » As Fantastic Four #3 Slips a Month from October to November – What of the Christmas Wedding? As Fantastic Four #3 Slips a Month from October to November – What of the Christmas Wedding? Dan Slott‘s series Tony Stark: Iron Man has been slipping a whole month of late. Now it seems that Dan Slott’s Fantastic Four is joining it, with issue 3 slipping from October 17th to November 14th. Here’s the amended solicitation details. 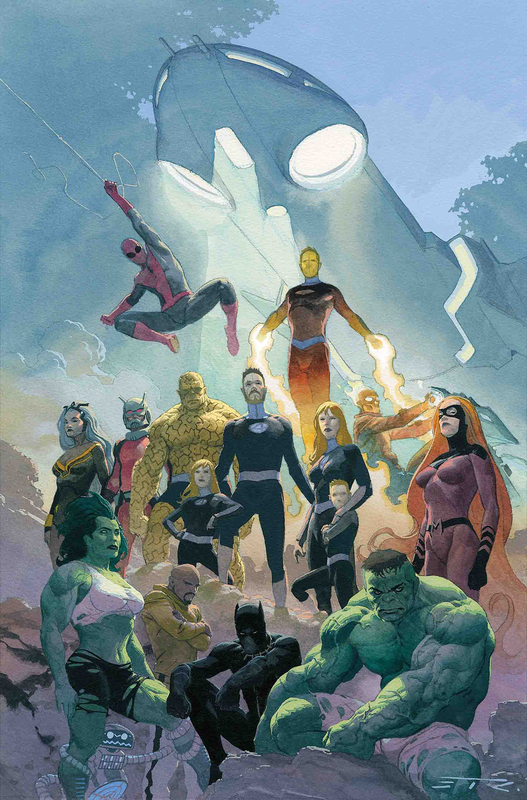 Fantastic Four #4 is scheduled for the 21st November, I suspect that will have to change soon as well.